Aascar Ravichandran known as the showman producer of Kollywood who used to make big budget extravaganzas couldn't settle the loan amount. 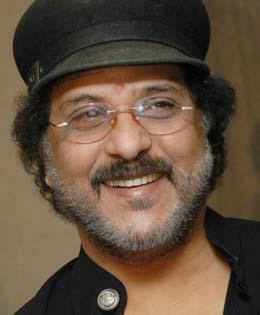 Aascar Ravichandran was known for his big budget movies. Ravichandran had produced big budget films like Anniyan, Ramanna, Velayutham, Dasavatharam, I and many others. Ravichandran borrowed loan amount of Rs 96.75 crs for making of Vikram's 'I'. Sources says that Ravichandran was unable to return the loan amount within due date, so after giving several warnings, Indian Overseas Bank seized Aascar Ravichandran's properties. Reports coming that Indian Overseas Bank, Sriram Nagar branch has now filed a petition at The Debt Recovery Tribunal and as per Securitisation and Reconstruction of Financial and Enforcement of Security Interest Act, bank has attached Aascar Ravichandran's office, house and the Vellore Aascar theater. As per the bank, Ravichandran's loan amount of 96.75 crs will be recovered from the properties attached. He was given many opportunities to pay back the loan amount, but he failed. Hence the bank attached and has now seized all his properties. Ravichandran's Boologam and Vishwaroopam 2 are lying in the cans as the producer could not release it so far.